Self-Hypnosis audio is a scientifically proven method of self-help used for many years. It’s really just a form of deep relaxation that allows you to bypass your conscious mind to change inner beliefs that are holding you back and replace them with new positive ones. 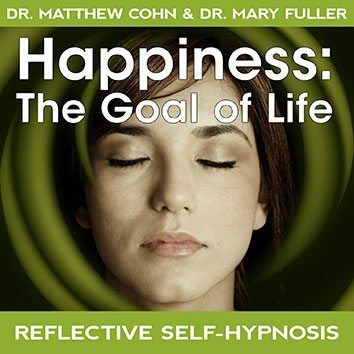 Reflective Self-Hypnosis audio downloads are from our two certified hypnotherapists, Dr. Matthew Cohn and Dr. Mary Fuller. They have over 30 years of experience each in helping people change their lives for the better with hypnosis. Over a million people have purchased Light of Mind Self-Hypnosis Audio programs. The Reflective Self-Hypnosis audio series includes the both traditional induction hypnosis and our new exclusive alpha-level non-directive method. What is Theta-Level Reflective Self-Hypnosis? 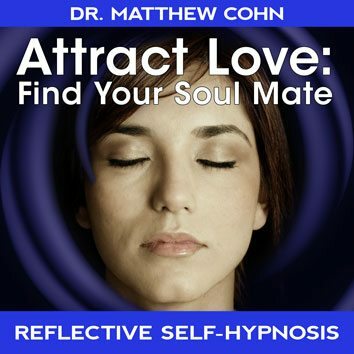 The tracks by Dr. Matthew Cohn, director of the Applied Hypnosis Institute in California feature Theta-level hypnotic inductions. 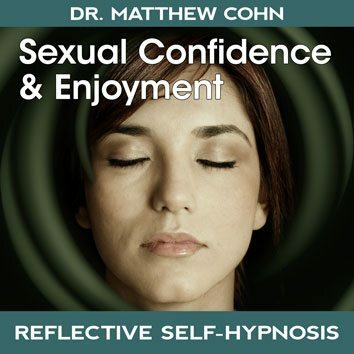 Through the use of time-proven techniques in hypnosis, Dr. Cohn gently guides you into an enjoyable state of deep relaxation. It is here in this highly receptive state that you can access your subconscious mind to make the changes you need. Once you are in this receptive state of mind, you’ll hear suggestions, affirmations and visualizations, in a very real sense – orders to your subconscious. Yet all you do is relax. Put forth no effort whatsoever. Dr. Cohn has a very soothing and comforting voice that enables you to enter the deep programming level easily. His mastery in self-hypnosis from his many years of experience with his patients will allow you to achieve all of the results you want and enjoy yourself in the process. What is Alpha-Level Reflective Self-Hypnosis? In recent years there have been many exciting new discoveries regarding brain states and self-programming. It has long been an accepted fact that to effect lasting positive change one needs to be given suggestions while in a deep hypnotic state (theta level). Brain/mind researchers are now finding out that for many people, results are even more dramatic when positive programming is given when one is in a very light alpha stale of consciousness. Alpha level occurs naturally throughout the day- from watching TV to taking a quiet walk or daydreaming. One of the top therapists doing research in this newly emerging field is Dr. Mary Fuller. She has been making tremendous strides in natural nondirective techniques. After years of working with traditional self-hypnosis audio in her private practice in Redondo Beach, California, she has developed a complete new system of alpha-level programming. It uses subtle vocal inflections. of speech, voice pitch, and symbolic programming based on the three modalities of sight, sound, and feeling. No Induction? No Progressive Relaxation? Think of it as non-hypnotic hypnosis. This new technique of light contemplation combined with non-directive suggestions has caused quite a stir in the psychological and holistic community because of its profound success. There is nothing even remotely like this available anywhere. These are self-hypnosis audio sessions like none you’ve ever encountered. 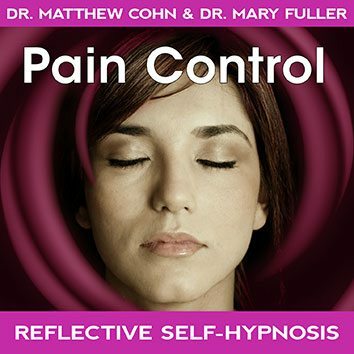 As you listen to Mary’s voice the first thing you’ll notice is that there is no hypnotic induction, no counting down, no directive commands like those used in hypnosis. Instead you hear relaxing suggestions, symbolic images, stories, ideas and visualizations. You begin to feel your mind calm into a tranquility of deep woods and quiet streams as your own creative, reflective and healing powers come alive. This is a natural stale of mind that feels very familiar. Your mind is guided to be free to wander creating pictures, seeing colors, shapes, hearing sounds. Instead of being programmed in a directive way, you find that place within yourself that provides you answers and solutions in response to your own requests and goals. Since you do not enter a hypnotic state you can use Reflective Self-Hypnosis audio in many creative ways. Lie down and deeply relax or listen while doing other activities. Or use them as you fall asleep at night. Many people experience fantastic results while only partially listening – this audio operates on a very deep level with gentle, subtly powerful persuasion. Feel free to personalize the way you use it, to make it a natural part of your own personal lifestyle. You’ll experience some very interesting and enjoyable new self-help discoveries along the way. Within your subconscious is the power to achieve any personal goal and solve any problem. Sometimes the subconscious sends back clear and direct messages. But often the message may be in the form of a symbol or a fleeting image or a sound. It’s only when you are in a reflective state that you can receive these messages and translate them into effective self-change. In this way, you focus your seemingly random psychological energy and harness its power for positive change. Through this process of Reflective Self-Hypnosis audio you transform yourself into the successful dynamic person you’ve always known you could be. These Reflective Self-Hypnosis downloads have a dramatic life-changing effect if you listen to them on a regular basis. As you listen, either while relaxing, at bedtime or for the alpha-level tracks, during other activities or at bedtime, you are improving your ability to communicate with and understand your own deeper mind. This guidance from your higher self becomes available to you more and more often, as you progress on the journey from where you are now to where you want to be. Get started now by browsing through our great selection of Reflective Self-Hypnosis audio downloads below. You’ll love relaxing while you listen and you’ll be amazed at how fast they start working for you! "These are my favorite self-hypnosis recordings because I really like the sound of the hypnotist's voices. They both have a very comforting feeling and make it easy for me to relax. I am improving in many ways!"